 Wastewater Treatment Facility (Allred): The Auburndale Allred WWTF, located on Recker highway, was originally built in 1955 along with the sanitary sewer system. The facility has been updated several times over the years. In 1983 the plant was converted to an extended aeration activated sludge process. Ultraviolet light is used to obtain high level disinfection. The Allred Facility has a capacity of 1.4 million gallons per day (mgd) and the treated effluent is discharged as reuse water to the Calpine Power Plant and Lake Myrtle Sports complex. Wastewater Treatment Facility (Regional): The Auburndale Regional WWTF is located on Spring Road, West of Berkley Road. This plant is a sequencing batch reactor (SBR) facility designed to provide advanced treatment, with a current permitted capacity of 4.0 million gallons per day (mgd) and 3.57 mgd of effluent disposal/reuse capacity. A portion of the treated effluent is discharged as reuse to the TENOROC Fish and Wildlife Management Area to assist with wetlands restoration. Call (863)965-5511 during normal business hours or Auburndale Dispatch at (863)401-2240 for after hours emergencies. You can also e-mail us at Wastewater Division.